The main concern with Zika virus are pregnant women who have an increased risk of microcephaly in the newborn. Pregnant travelers should be aware when traveling to countries and territories with conﬁrmed cases of autochthonous transmission. 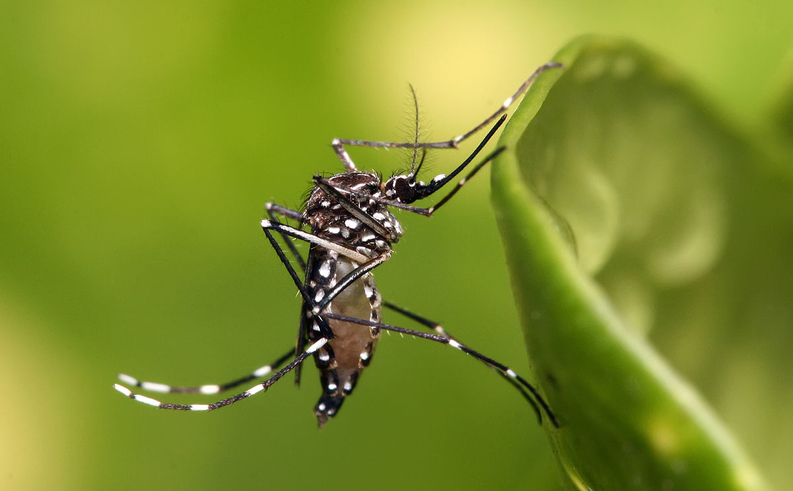 There is no speciﬁc treatment, and the best way to prevent it is protection against mosquito bites. If you travel to these Zika-affected areas, watch for the mosquito Aedes aegypti (same mosquito that transmits dengue, chikungunya and yellow fever) and use repellents with DEET or permethrin. Spray on exposed skin as directed by the product label and apply on clothes, bed nets, and mosquito screens on doors and windows. To learn more, refer to the World Health Organization's Fact Sheet on Zika Virus. 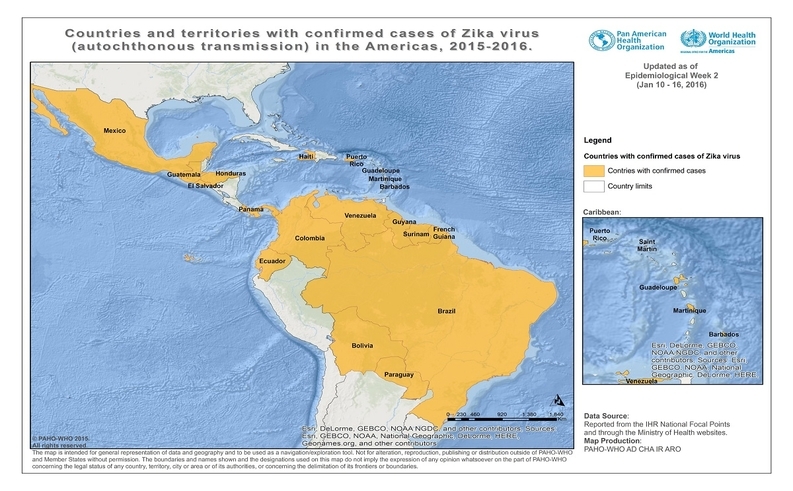 PAHO.org map of countries and territories with confirmed cases of Zika virus in the Americas, 2015-2016.